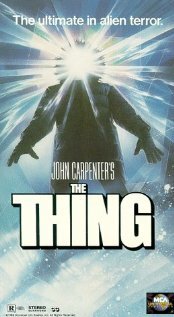 A man, his son and wife become the winter caretakers of an isolated hotel where Danny, the son, sees disturbing visions of the hotel’s past using a telepathic gift known as “The Shining”. The father, Jack Torrance, is underway in a writing project when he slowly slips into insanity as a result of cabin fever and former guests of the hotel’s ghosts. 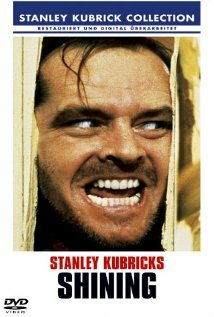 After being convinced by a waiter’s ghost to “correct” the family, Jack goes completely insane. The only thing that can save Danny and his mother is “The Shining”. An American scientific expedition to the frozen wastes of the Antarctic is interrupted by a group of seemingly mad Norwegians pursuing and shooting a dog. The helicopter pursuing the dog crashes leaving no explanation for the chase. During the night, the dog mutates and attacks other dogs in the cage and members of the team that investigate. The team soon realises that an alien life-form with the ability to take over other bodies is on the loose and they don’t know who may already have been taken over.